1896 – Five lots near Telford Lake were purchased and a white, wooden church was constructed, measuring approximately 20 feet by 32 feet. 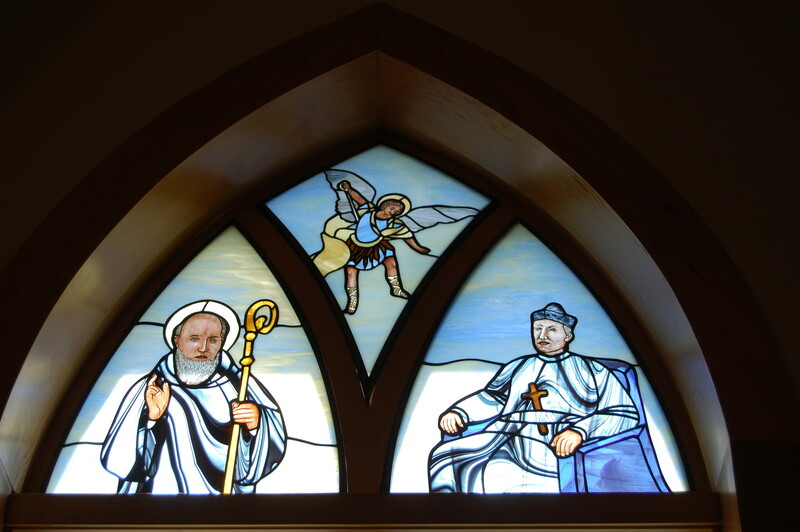 It was named St. Benedict, and was blessed on the last Sunday of September by Bishop Grandin. The small church included an eight-foot partition which served as a sacristy and a bedroom for the visiting priest (since the parish did not have a resident priest). Near the back door stood a big, black, pot-bellied heater. 1906 – The visiting priest now stayed in the homes of parishioners, allowing the sacristy/bedroom partition to be removed from the church. Confessionals were built near the altar. The parish obtained a set of Stations of the Cross, as well as statues of the Blessed Virgin, the Sacred Heart, St. Joseph, and St. Anthony. 1909 – Fr. Alex DeLestre from Belgium appointed as first resident priest of St. Benedict Parish. 1936 – A new brick church building was constructed, measuring 80 feet by 20 feet. It was renamed St. Michael. The old St. Benedict church building was sold to the Peace Lutheran Congregation. 1944 – The pump organ was replaced with an electric organ. 1952 – The Catholic Women’s League started in the parish. 1964 – A new rectory was built (the current office). Water, sewer connections, and washrooms were put into the church basement. 1967 - The first Parish Council established at St. Michael. 1974 – The first “Parish Worker”, Sr. Audrey Gerwing of the Sisters of Sion, came to St. Michael. 1977 – The Knights of Columbus Council started in the parish. 1978 – The old confessionals were removed and the basement dry-walled. 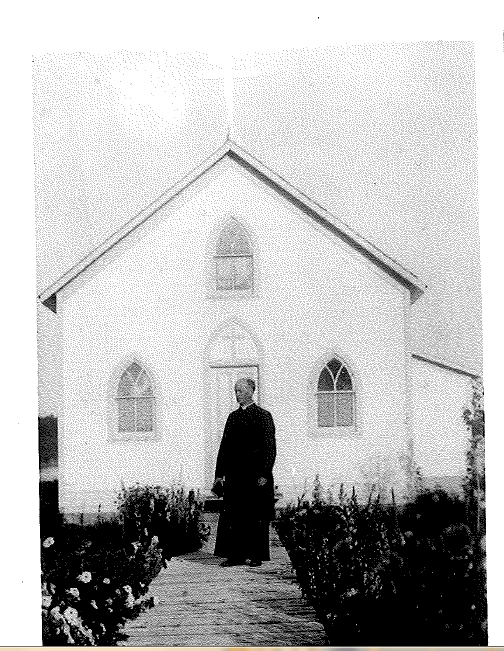 Spruce trees were planted around the church. 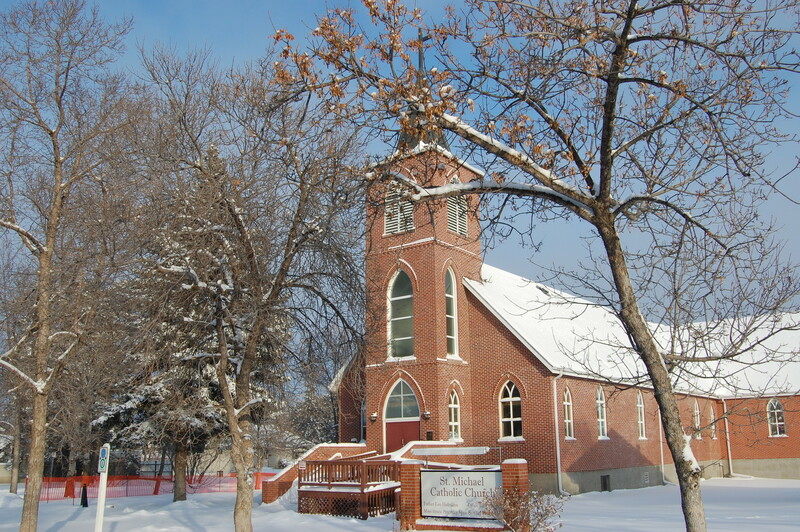 1980 – A Roman Catholic separate school district was formed in Leduc. Notre Dame was the district’s first school, followed by St. Benedict, and then Christ the King. Fr. Leduc School opened in 2016. 1982 – First in-parish secretary: Bonnie Climie. First photocopier purchased. 1985 – The church was renovated with the addition of two wings at the front for seating. 1991 – Wheelchair ramp constructed. 1996 – 100th anniversary of St. Michael Parish. A new rectory was built, and the old rectory was converted into the parish office. 2000 – An elevator added to the north side of the building. 2014 – A new organ was purchased for the Church. 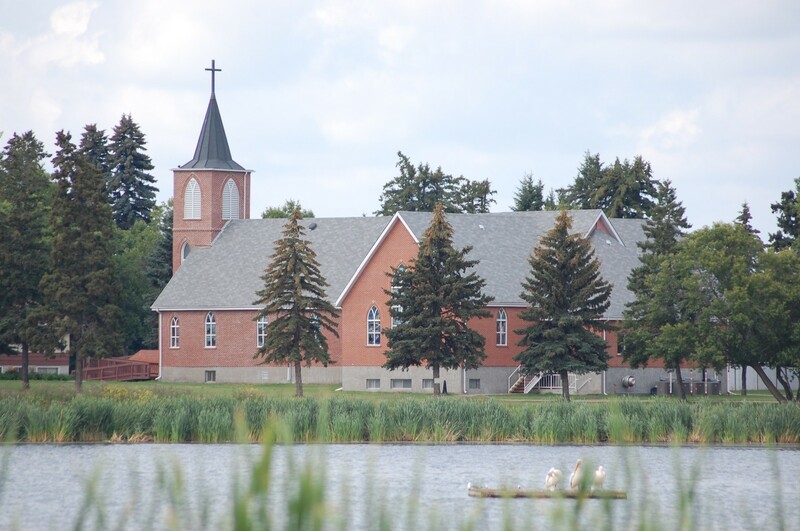 2016 - St. Michael Parish celebrates 120 years of Catholic presence in Leduc.